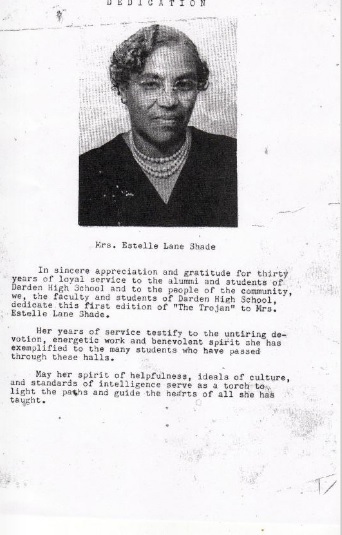 Estelle L. Shade died 15 June 1961 in Wilson. 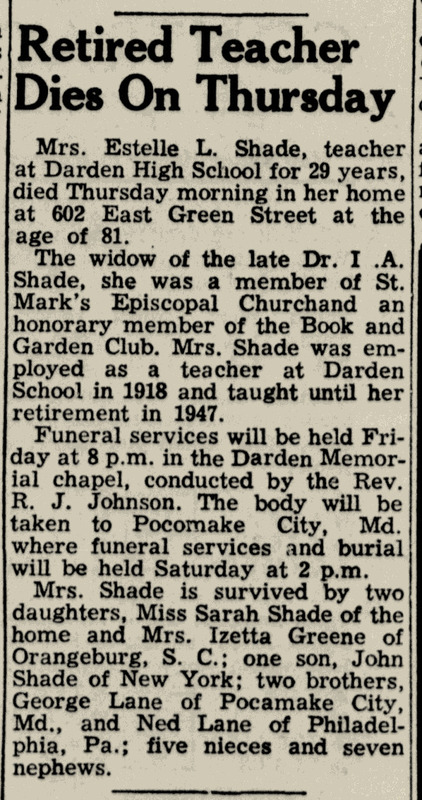 Per her death certificate, she was born 25 October 1880 in Pocomoke City, Maryland, to William Lane and Maria Waters; was widowed; and had been a school teacher. Sarah L. Shade was informant. Wilson Daily Times, 16 June 1961. On 18 October 1899, J. Daniel Reid, 25, of Wayne County, married Elenor P. Frederick, 22, of Duplin County, in Warsaw, Duplin County. Minister of the Gospel G.L. 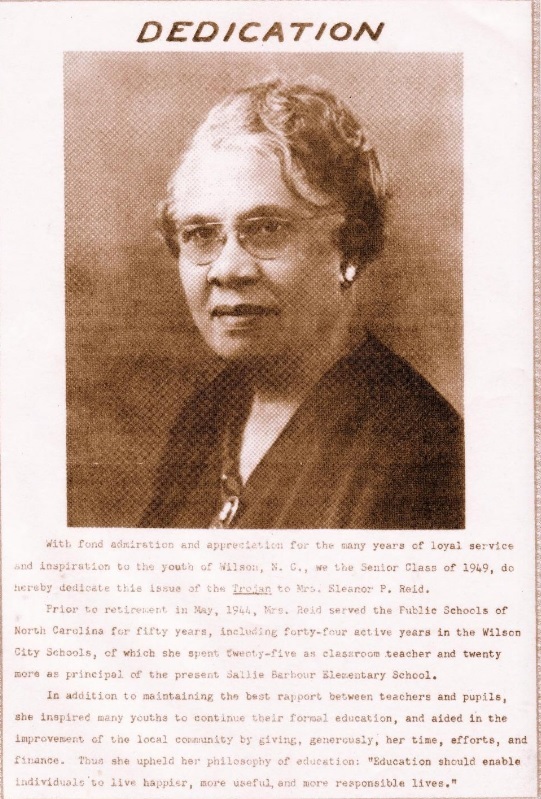 Clark performed the ceremony in the presence of John A. Croom, Maud M. Frederick and Mrs. H.E. Hogan. In the 1910 census of Wilson, Wilson County: graded school principal James Reid, 36; wife Elanor, 32, teacher; and children Bruce, 7, James D., 5, and Thelma, 1. In the 1930 census of Wilson, Wilson County: banker Judge D. Reid, 52, public school principal Elnora Reid, 50, sons Fredrick, 17, and Herbert, 14, and lodger Edwin D. Fisher, 36, a studio photographer. The house was owned free of mortgage and valued at $6000. Wilson Daily Times, 5 December 1958. ← ﻿Studio shots, no. 34: Paul H. Jones.